Randy Cunningham Cell Animation 2013 from keyvis on Vimeo. This is a compilation of some of the scenes that I animated last year for the Disney XD´s show "Randy Cunningham, 9th Grade Ninja". It has been a beautiful experience with the talented guys of Boulder Media, another great studio in Ireland. 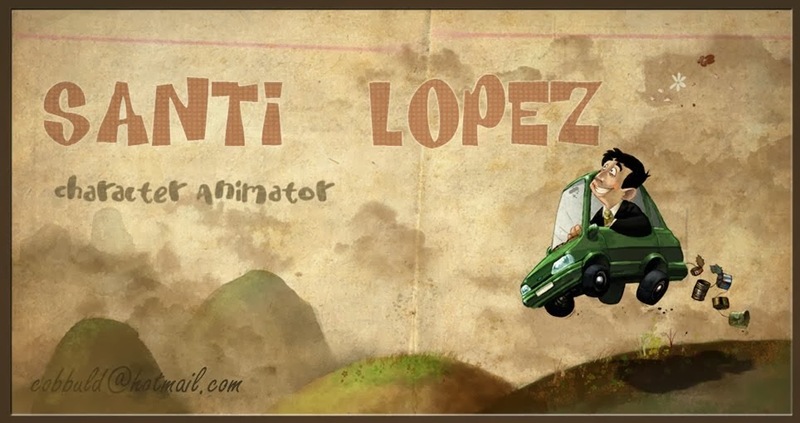 Animation professional from Valencia, Spain. Experience in feature films, short films, tv shows and comercials. Currently working as animation supervisor and director. © ALL ART WORK AND TEXT IS COPYRIGHTED BY SANTI LÓPEZ, UNLESS OTHERWISE ATTRIBUTED TO THE RESPECTIVE COPYRIGHT OWNER, IT IS ILLEGAL TO PUBLISH OR PRINT ANY SUCH ARTWORK OR TEXT WITHOUT EXPRESS WRITTEN PERMISSION.